Traveling along Jordan’s Desert Highway, you encounter a town at a junction — both figuratively and literally. At 90 kilometers south of the capital city of Amman, that town, Qatrana, is both well-located and completely isolated. The figurative junction is a crossroads between traditional and modern ways of life and energy production. If it is up to one organization, those paths will converge in order to move the town forward. 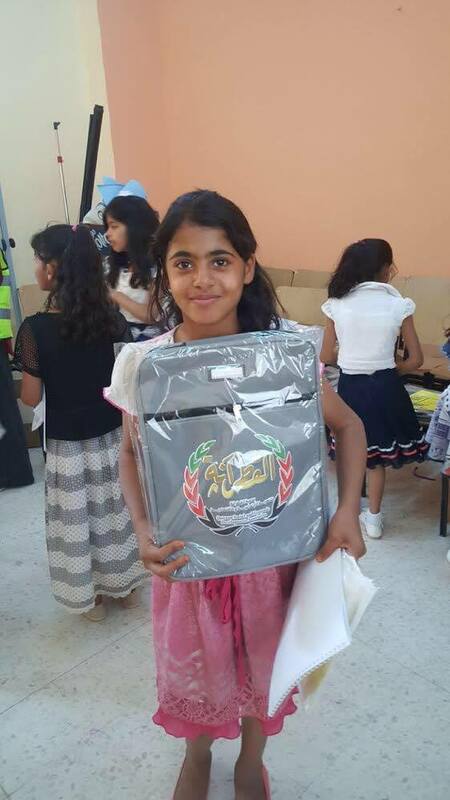 The non-profit organization is called Qatrana Social and Economic Development Association (QASEDA). Its aim is to support the Bedouin community in creating local initiatives to employ themselves and fellow residents, as well as to start unconventional natural resource management projects. Residents of this region have not always called Qatrana home. Historically, people in the area were nomadic Bedouins who found ways to adapt and survive in the arid desert land. 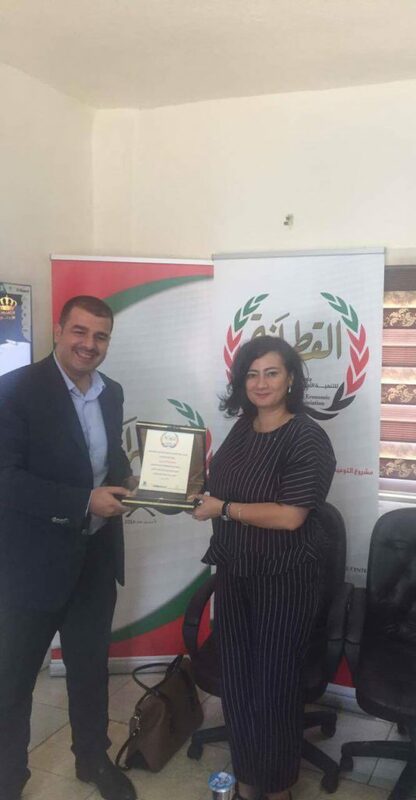 The Jordanian government has been attempting to introduce means of modernization to the community since the 1980s. This included providing permanent homes, running water, electricity, and livelihood through agriculture. Today, many more Qatrana residents have university degrees, but unemployment — especially among the large youth population — remains an issue. Jordan’s unemployment rate in the second quarter of 2017 topped the 18% mark, most of which are women and youth. 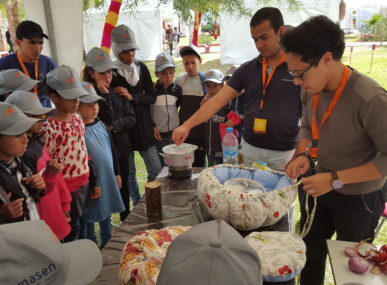 Al Alayani says encouraging projects that combine traditional elements of Bedouin culture with the modern economy, as well as managing those projects within the community, will be good for both the local workforce and the environment. One historical Bedouin tradition is rainwater harvesting, particularly in the dry Qatrana area. QASEDA is reviving this practice, training local women and children to adopt rainwater harvesting. 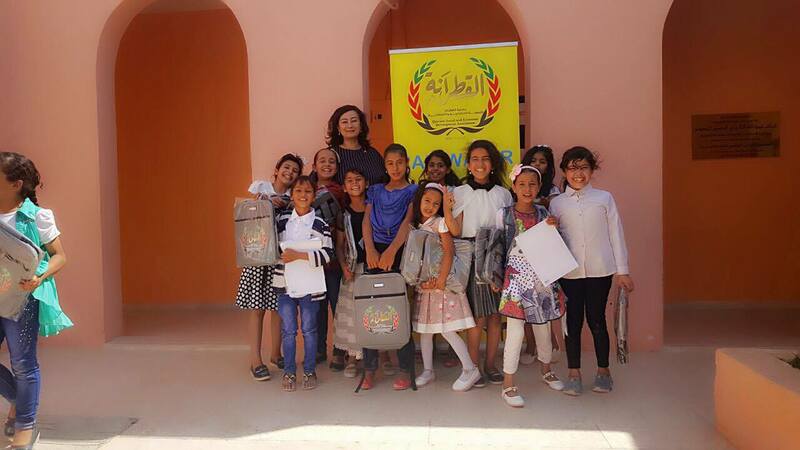 Khrais is currently completing a survey to assess the local knowledge of this ancient practice, focusing especially on the capacity of local NGOs, municipal officers, teachers, and women. 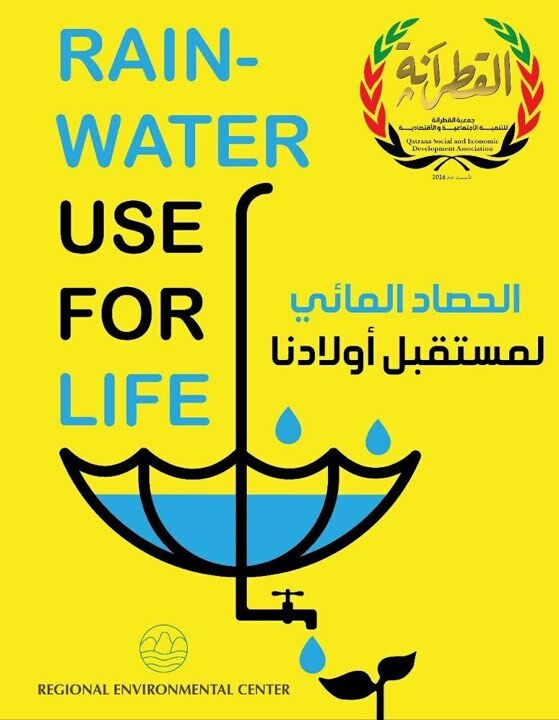 Following the survey, QASEDA will host workshops to raise awareness about this alternative water source and to help women in the region use it in their homes. Part of the project also involves teaching children aged eight to 15 about the potential of rainwater harvesting. An ultimate goal of the project is to have community members and local businesses revive the use of a historical dam found at the edge of the town. Water still pools in that dam, and it is connected via two canals to the Qatrana castle in the centre of town. Once operating, the water from this dam could be again used for household chores, cleaning, and agriculture. “We have water, but lack the management or support to develop the local community to manage it,” says Al Alayani. The environment comes in third as a tenet for QASEDA. One advantage to receiving virtually no rainfall in a year is that there is a generous amount of solar energy to harness. 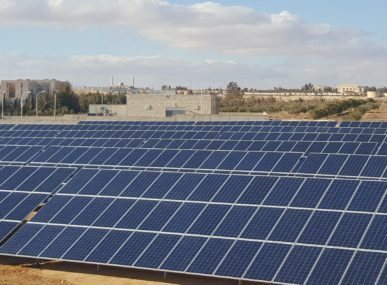 QASEDA is already in talks with the local power plant to find a way to encourage renewable energy use in the town, and solar is at the top of Al Alayani’s mind. In addition to promoting forms of renewable energy through rainwater harvesting and solar electricity, QASEDA is promoting local business creation among women and youth. There are already some big businesses operating in Qatrana, including a cement plant and the power plant, which is Jordan’s second largest energy producer. Though Qatrana residents are very well-educated, Al Alayani says the positions available at the factories are too technical. 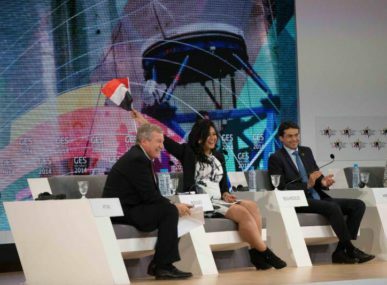 “We have all the basic economic elements in Qatrana, but we need to find a way to connect resources with jobs,” says Al Alayani. That is why QASEDA came up with an alternative idea: have community members start tertiary businesses, ones that complement the primary industries. Catering, textiles, security, and IT services are all areas where Al Alayani notes there is a large market. Other traditional Bedouin practices, such as the production of local crafts and food, can also be used to generate employment. Al Alayani describes how the Jordanian Bedouin are famous for a dish called mansaf, which consists of hardened yogurt made from sheep’s milk along with rice and meat. To help this employment cycle along, QASEDA offers communications skills, business, and self-confidence training for women and youth. They also run integration and gender workshops to help the traditionally conservative culture understand the nuances of a workforce that is managed by both women and men. Since its inception in June 2016, the non-profit has trained 30 women and 20 men. While still a relatively new organization, QASEDA has already begun combining tradition and modernity, with its mission set straight towards a sustainable future.